Product Description 1-metal dome at high quality 2-ISO90001,ROHS,SGS 3-factory price 4-OEM,ODM welcomed . Metal Dome: 1.Material :Stainless steel 2.Avaliable for enhancing tactile feeling 3.Carrier: PET 4.Wth or without single side adhesive spacer 5.With silicone adhesive for rubber keypads 6.More than 10,000,000 life cycles 7.Avaliable in various metal dome: round, triangle, four Legs and oblong shape 8.Customized designs are welcome. Design considerations include dome size, material composition, thickness, and mating circuit design which determine the characteristics of tactile feel, actuation force, actuation travel and contact resistance. We can supply different sizes and variations of metal domes, and has extensive experience in metal dome array applications to assist in optimizing designs for every requirement . plastic bag/carton/according to your request. Short on time? Let tact-switch sellers contact you. XKB Precision Technology (Shenzhen) Co., Ltd. Product Name:Tact Switchï¼?160gf 260gf strength double button with bracket 9.1*7.3*(1.4,3.4,6.4,7.9,13.4)ï¼? Place of Origin:Guangdong,China Model Number:TC-1122DD-X-X Contact Rating:50mA 12VDC Contact Resistance:100m max. Insulation Resistance:100m min.500V DC Dielectric Strength:250V AC/1 minute Travel :0.25mm Operating Temp. :-25C~+70C Storage Temp:-30C~+80C More product details please feel free to contact us. FAQ: Q1. Are you a factory or trading company? A: We are a factory, we can guarantee our price is first-hand, very cheap and competitive. Q2. When can I get the quotation ? A: We usually quote within 24 hours after we get your inquiry. If you are very urgent to get the price, please call us or tell us in your email so that we will regard your inquiry priority. Q3. You can provide some samples for me? A: Yes, we can provide free samples to you, but the freight need you to bear. Q4. I am a small wholesaler, do you accept small order? A: It's no problem if you are a small wholesaler, we would like to grow up with you together. Q5. What about the lead time for mass production? A: Honestly, it depends on the order quantity and the season you place the order. The lead time of MOQ is about 10 to15 days. Generally speaking, we suggest that you start inquiry two months before the date you would like to get the products at your country. Q6. How does your company do regarding quality control? A: Each year we have quality supervision department inspection, and issue inspection reports, each batch of goods will be strictly controlled, the company's internal will have qualityregulation, to ensure that every batch of products qualified and best quality. Notice: (1)due to our product range, many models, changes in prices of raw materials, the online prices are for reference. (2) If your required products was not found in the shop, please consult our customer service, thank you for understanding and support! Product Name:Tact Switch(4.6*2.3*3.5 ) Place of Origin:Guangdong,China Model Number:TS-1010A-X Contact Rating:50mA 12VDC Contact Resistance:100m? max. Insulation Resistance:100m? min.500V DC Dielectric Strength:250V AC/1 minute Travel :0.15mm Operating Temp. :-25C~+70C Storage Temp:-30C~+80C More product details please feel free to contact us. FAQ: Q1. Are you a factory or trading company? A: We are a factory, we can guarantee our price is first-hand, very cheap and competitive. Q2. When can I get the quotation ? A: We usually quote within 24 hours after we get your inquiry. If you are very urgent to get the price, please call us or tell us in your email so that we will regard your inquiry priority. Q3. You can provide some samples for me? A: Yes, we can provide free samples to you, but the freight need you to bear. Q4. I am a small wholesaler, do you accept small order? A: It's no problem if you are a small wholesaler, we would like to grow up with you together. Q5. What about the lead time for mass production? A: Honestly, it depends on the order quantity and the season you place the order. The lead time of MOQ is about 10 to15 days. Generally speaking, we suggest that you start inquiry two months before the date you would like to get the products at your country. Q6. How does your company do regarding quality control? A: Each year we have quality supervision department inspection, and issue inspection reports, each batch of goods will be strictly controlled, the company's internal will have qualityregulation, to ensure that every batch of products qualified and best quality. Notice: (1)due to our product range, many models, changes in prices of raw materials, the online prices are for reference. (2) If your required products was not found in the shop, please consult our customer service, thank you for understanding and support! Product Name:Tact Switch(Force height can be customized 16.2*8.6 side operation bracket-sensitive tact switch) Place of Origin:Guangdong,China Model Number:TC-1122DQ-X Contact Rating:50mA 12VDC Contact Resistance:100m? max. Insulation Resistance:100m? min.500V DC Dielectric Strength:250V AC/1 minute Travel :0.25mm Operating Temp. :-25C~+70C Storage Temp:-30C~+80C More product details please feel free to contact us. FAQ: Q1. Are you a factory or trading company? A: We are a factory, we can guarantee our price is first-hand, very cheap and competitive. Q2. When can I get the quotation ? A: We usually quote within 24 hours after we get your inquiry. If you are very urgent to get the price, please call us or tell us in your email so that we will regard your inquiry priority. Q3. You can provide some samples for me? A: Yes, we can provide free samples to you, but the freight need you to bear. Q4. I am a small wholesaler, do you accept small order? A: It's no problem if you are a small wholesaler, we would like to grow up with you together. Q5. What about the lead time for mass production? A: Honestly, it depends on the order quantity and the season you place the order. The lead time of MOQ is about 10 to15 days. Generally speaking, we suggest that you start inquiry two months before the date you would like to get the products at your country. Q6. How does your company do regarding quality control? A: Each year we have quality supervision department inspection, and issue inspection reports, each batch of goods will be strictly controlled, the company's internal will have qualityregulation, to ensure that every batch of products qualified and best quality. Notice: (1)due to our product range, many models, changes in prices of raw materials, the online prices are for reference. (2) If your required products was not found in the shop, please consult our customer service, thank you for understanding and support! Product Name:Tact Switch(XKB brand vertical smd normally closed tact switch without sensitive) Place of Origin:Guangdong,China Model Number:TC-CB1157-X-X Contact Rating:50mA 12VDC Contact Resistance:100m? max. Insulation Resistance:100m? min.500V DC Dielectric Strength:250V AC/1 minute Travel :0.25mm Operating Temp. :-25C~+70C Storage Temp:-30C~+80C More product details please feel free to contact us. FAQ: Q1. Are you a factory or trading company? A: We are a factory, we can guarantee our price is first-hand, very cheap and competitive. Q2. When can I get the quotation ? A: We usually quote within 24 hours after we get your inquiry. If you are very urgent to get the price, please call us or tell us in your email so that we will regard your inquiry priority. Q3. You can provide some samples for me? A: Yes, we can provide free samples to you, but the freight need you to bear. Q4. I am a small wholesaler, do you accept small order? A: It's no problem if you are a small wholesaler, we would like to grow up with you together. Q5. What about the lead time for mass production? A: Honestly, it depends on the order quantity and the season you place the order. The lead time of MOQ is about 10 to15 days. Generally speaking, we suggest that you start inquiry two months before the date you would like to get the products at your country. Q6. How does your company do regarding quality control? A: Each year we have quality supervision department inspection, and issue inspection reports, each batch of goods will be strictly controlled, the company's internal will have qualityregulation, to ensure that every batch of products qualified and best quality. Notice: (1)due to our product range, many models, changes in prices of raw materials, the online prices are for reference. (2) If your required products was not found in the shop, please consult our customer service, thank you for understanding and support! Product Name:Tact Switch(6*3.6*2.5) Place of Origin:Guangdong,China Model Number:TS-1101-X-X Contact Rating:50mA 12VDC Contact Resistance:100m? max. Insulation Resistance:100m? min.500V DC Dielectric Strength:250V AC/1 minute Travel :0.25mm Operating Temp. :-25C~+70C Storage Temp:-30C~+80C More product details please feel free to contact us. FAQ: Q1. Are you a factory or trading company? A: We are a factory, we can guarantee our price is first-hand, very cheap and competitive. Q2. When can I get the quotation ? A: We usually quote within 24 hours after we get your inquiry. If you are very urgent to get the price, please call us or tell us in your email so that we will regard your inquiry priority. Q3. You can provide some samples for me? A: Yes, we can provide free samples to you, but the freight need you to bear. Q4. I am a small wholesaler, do you accept small order? A: It's no problem if you are a small wholesaler, we would like to grow up with you together. Q5. Q5.What about the lead time for mass production? A: Honestly, it depends on the order quantity and the season you place the order. The lead time of MOQ is about 10 to15 days. Generally speaking, we suggest that you start inquiry two months before the date you would like to get the products at your country. Q6. How does your company do regarding quality control? A: Each year we have quality supervision department inspection, and issue inspection reports, each batch of goods will be strictly controlled, the company's internal will have qualityregulation, to ensure that every batch of products qualified and best quality. Notice: (1)due to our product range, many models, changes in prices of raw materials, the online prices are for reference. (2) If your required products was not found in the shop, please consult our customer service, thank you for understanding and support! Product Name:Tact Switch(SMD touch button) Place of Origin:Guangdong,China Model Number:TS-1101NH-X-X-X Contact Rating:50mA 12VDC Contact Resistance:100m? max. Insulation Resistance:100m? min.500V DC Dielectric Strength:250V AC/1 minute Travel :0.15mm Operating Temp. :-25C~+70C Storage Temp:-30C~+80C More product details please feel free to contact us. 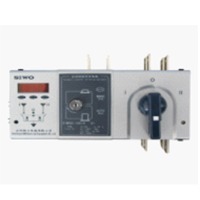 Product Name:Tact Switch Place of Origin:Guangdong,China Model Number:TS-1101S-X-X-A-X-X Patch two-foot touch button long 6X wide 3.5X high (4.3--5.0--6.0--7.0) selectable, strength :100gf, 160gf, 260gf More product details please feel free to contact us. FAQ: Q1. Are you a factory or trading company? A: We are a factory, we can guarantee our price is first-hand, very cheap and competitive. Q2. When can I get the quotation ? A: We usually quote within 24 hours after we get your inquiry. If you are very urgent to get the price, please call us or tell us in your email so that we will regard your inquiry priority. Q3. You can provide some samples for me? A: Yes, we can provide free samples to you, but the freight need you to bear. Q4. I am a small wholesaler, do you accept small order? A: It's no problem if you are a small wholesaler, we would like to grow up with you together. Q5. What about the lead time for mass production? A: Honestly, it depends on the order quantity and the season you place the order. The lead time of MOQ is about 10 to15 days. Generally speaking, we suggest that you start inquiry two months before the date you would like to get the products at your country. Q6. How does your company do regarding quality control? A: Each year we have quality supervision department inspection, and issue inspection reports, each batch of goods will be strictly controlled, the company's internal will have qualityregulation, to ensure that every batch of products qualified and best quality. Notice: (1)due to our product range, many models, changes in prices of raw materials, the online prices are for reference. (2) If your required products was not found in the shop, please consult our customer service, thank you for understanding and support!